Teaching Activity. By Ursula Wolfe-Rocca. 29 pages. 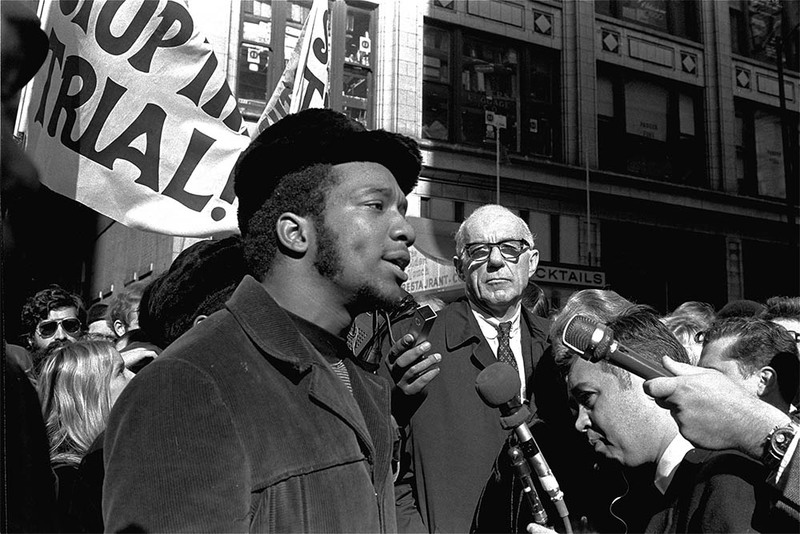 “You can jail a revolutionary, but you can’t jail the revolution.” —Fred Hampton, a leader of Chicago’s Black Panther Party who was killed during an FBI-sponsored police raid. Student-selected and student-run current events discussions are a daily ingredient of my high school social studies classes. The first 20 minutes of every 90-minute class period, we read an excerpt from a recent newspaper article and discuss its significance. In the last few years, the discussions have been dominated by names that have piled up with sickening frequency: Trayvon Martin, Eric Garner, Michael Brown, Walter Scott, Freddie Gray, Tamir Rice, Sandra Bland. My students, mostly Asian American and white, live in Lake Oswego, one of the wealthiest cities in Oregon and a community that benefits from mostly positive relationships with police. They struggle to understand a society that continues to allow Black lives to die at the hands of law enforcement. This year, student attention has turned to how activists are responding to the racism in the criminal justice system, particularly the Black Lives Matter movement. In November 2015, a student brought in an Oregonian article, “Black Lives Matter: Oregon Justice Department Searched Social Media Hashtags.” The article detailed the department’s digital surveillance of people solely on the basis of their use of the #BlackLivesMatter hashtag. My students thoughtfully discussed and debated whether tying #BlackLivesMatter to potential threats to police (the premise of the surveillance program) was justifiable, with most students agreeing with the Urban League and the American Civil Liberties Union that the U.S. Department of Justice acted improperly and potentially unlawfully. But what was not noted in the Oregonian article was the historical resonance of this story, which recalls the ugly, often illegal, treatment of Black activists by the U.S. justice system during an earlier era of our history. 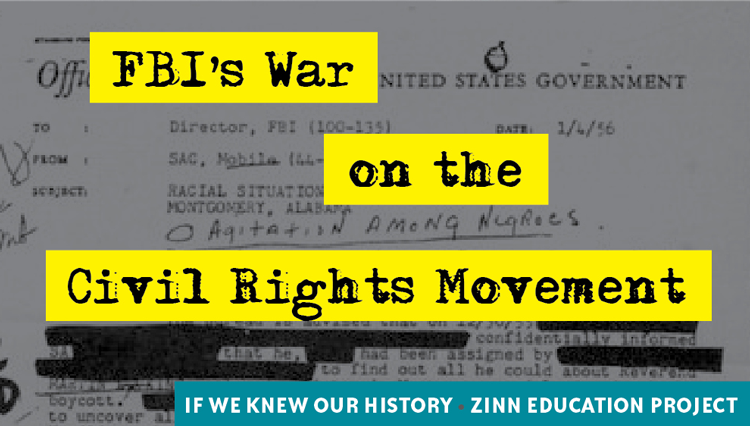 My students had little way of knowing about this story behind the story because mainstream textbooks almost entirely ignore COINTELPRO, the FBI’s counterintelligence program of the 1960s and ’70s that targeted a wide range of activists, including the Black freedom movement. 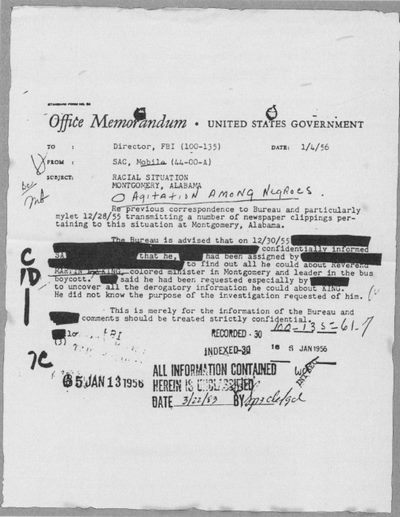 COINTELPRO offers me, as a teacher of classes on government, a treasure trove of opportunities to illustrate key concepts, including the rule of law, civil liberties, social protest, and due process, yet it is completely absent from my school’s government book, Magruder’s American Government (Pearson). This lesson was originally published in the Spring 2016 issue of Rethinking Schools magazine. 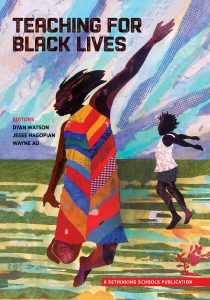 It is included in the Rethinking Schools publication Teaching for Black Lives. Find related teaching resources below. In addition, find graphic art about COINTELPRO by illustrator Stacey Uy by clicking the image above. Teaching Activity. By Wayne Au. 7 pages. 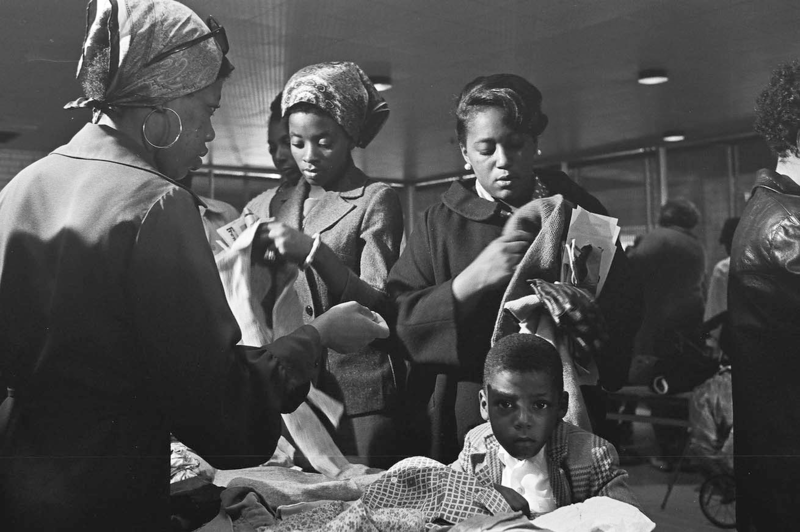 How students can use the Black Panther Party’s Ten Point Program to assess issues in their own communities and to develop Ten Point Programs of their own. Available in Spanish. Article. By Adam Sanchez. If We Knew Our History series. Too often, students are taught that the Civil Rights Movement ended in 1965 with passage of the Voting Rights Act. It didn’t. Adam Sanchez argues that it is essential to teach the long, grassroots history of the Civil Rights Movement in order to help students think about today’s movements for racial justice. Article. By Adam Sanchez and Jesse Hagopian. If We Knew Our History series. 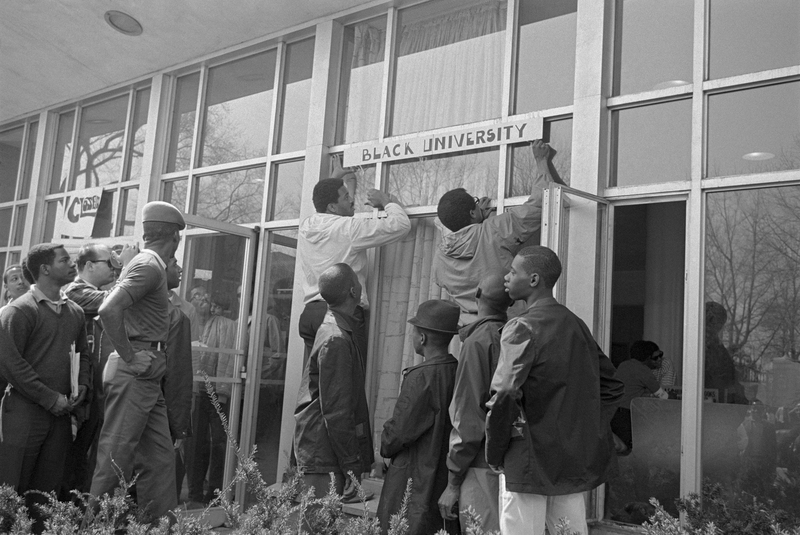 The local organizing that Black Panthers engaged in — giving the poor access to decent housing, health care, education, and much more — has been erased in the textbooks, yet it is precisely what won them such widespread support. Article. By Ursula Wolfe-Rocca. If We Knew Our History series. 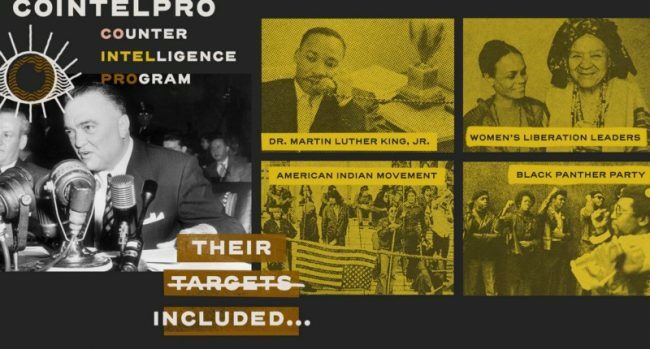 A 1971 break-in at FBI offices revealed a conspiracy—known as COINTELPRO—for the FBI to infiltrate, disrupt, and destroy a wide range of activist groups, especially civil rights organizations. Textbooks ignore this chapter in U.S. history, but it’s essential background to understand what’s happening today. Teaching Guide. Edited By Dyan Watson, Jesse Hagopian, Wayne Au. 2018. 368 pages. Essays, teaching activities, role plays, poems, and artwork, designed to illuminate, the movement for Black student lives, the school-to-prison-pipeline, Black history, gentrification, intersectional Black identities, and more. Black Panther Party members Fred Hampton and Mark Clark were assassinated by police. A cab driver, a day care provider, and two professors broke into an FBI office in Media, Pennsylvania, and stole more than 1,000 classified documents.